In “Pause”, the work depicts the juxtaposition of powerful machines, which are symbols of advancement and technology, against nature, which is widely accepted as precious and untouched. The medium of photography provides a visual dichotomy of reality and illusion through the aesthetics of plane and tree and their spatial relationship. 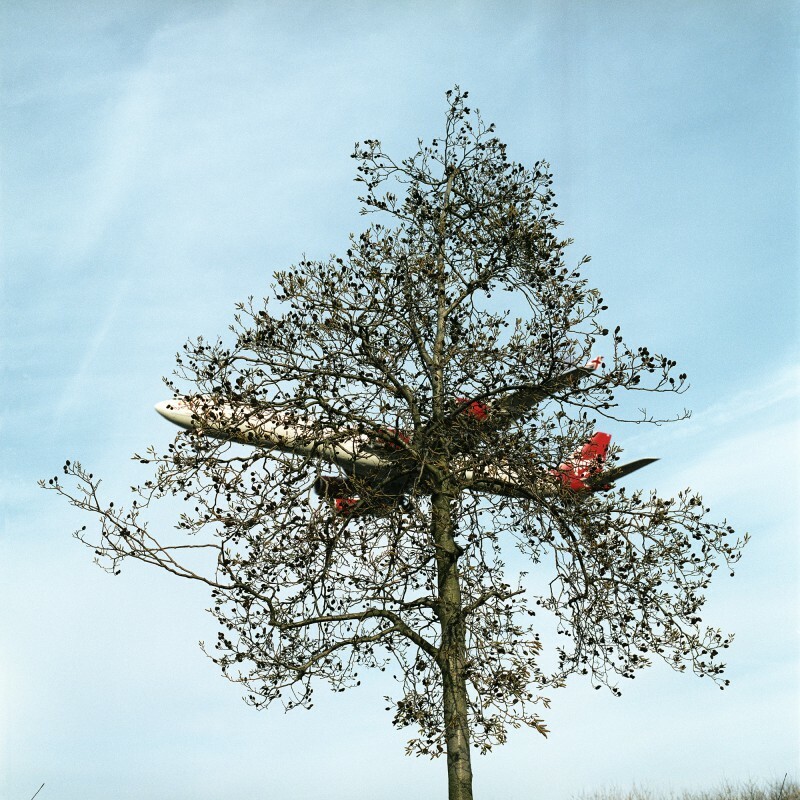 Planes behind trees as individual objects are familiar and common, but when combined and interrelated, the viewer moves to a new space to behold the unexpected. Born in 1973 in Turkey, Özant continues to build his work through exploring the purpose of photography as a medium and its connection to society. His early works look at the role of photography as an interruption of anticipation. Özant has left a corporate career of thirteen years to follow his passion for photography. He has an MA degree from Central Saint Martins in London, UK and has exhibited his work in London, Dubai, Istanbul and Paris. Özant is teaching photography at the university level and currently lives in Toronto, Canada.